تصویری دارم که باید سایز یکسان باشد اما حجم تصویر را پاینتر بیاورم یعنی مجبورم حدود 2 مگ حجم تصویر هست حالا همین 2 مگ بشود 1 مگ اما به کیفیت تصویر لطمه نزند توضیحاتی میخواستم؟! Baseline lossless (100% quality) image. (Source: "Glasses, pitcher, ashtray and dice (POV-Ray)", Gilles Tran, 2006). Baseline image saved as a 90% quality JPEG.Visibly, there is very little difference. Only the edges are a little less crisp. 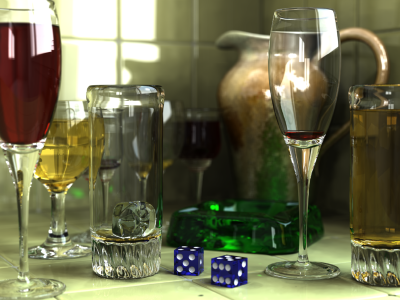 Baseline image saved as a 80% quality JPEG.Fine details, like the dice and glass bases, are a little blurry. 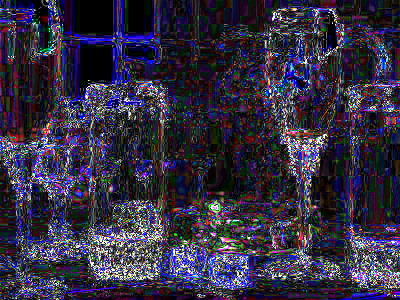 Baseline image saved as a 70%.Edges are no longer crisp and compression artifacts are visible. 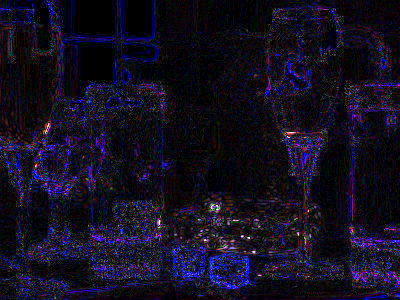 E.g., the base of the pitcher's curved handle (behind the nearly empty glass) is very blurry and distorted. 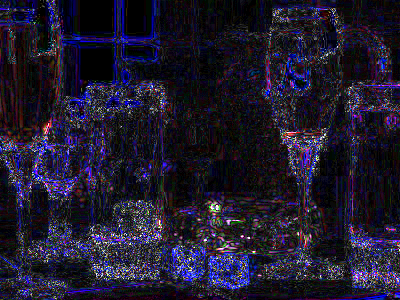 Baseline image saved as a 25% quality JPEG.Significant JPEG artifacts are visible around all edges. Most appear as ripples and echo lines.